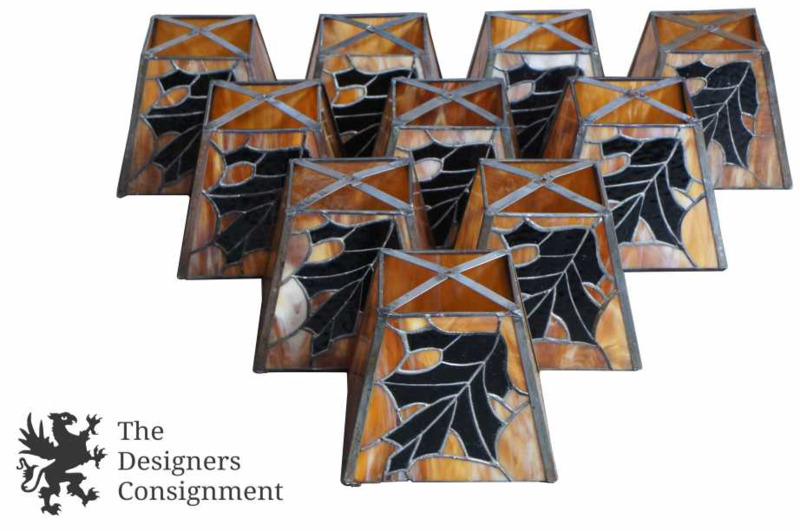 A beautiful set of stained art glass shades. 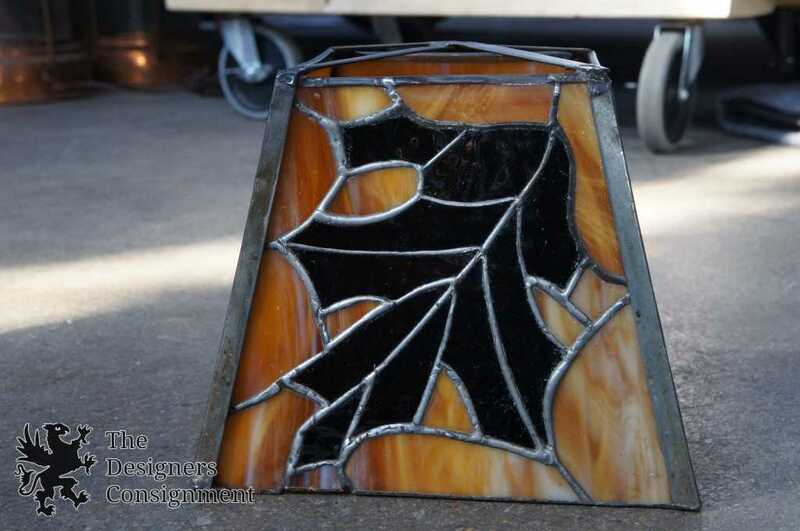 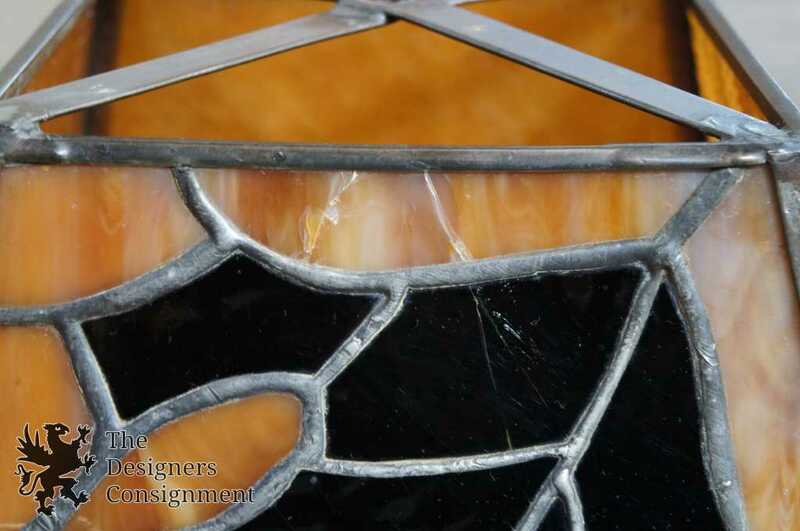 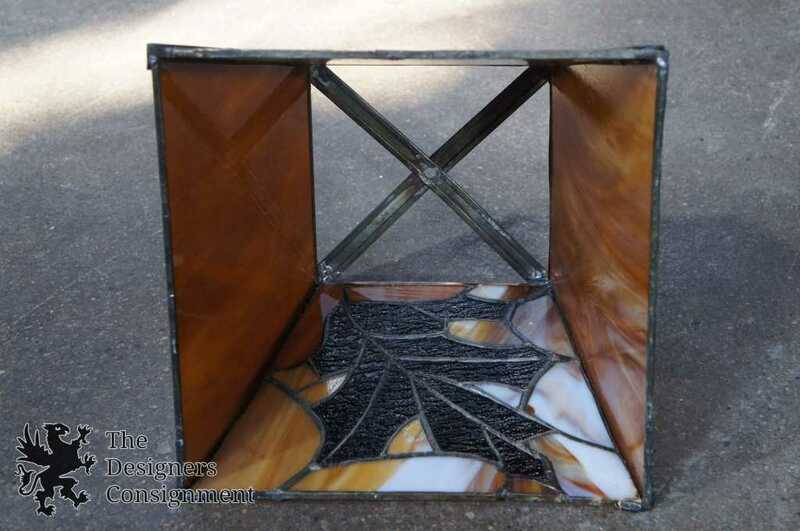 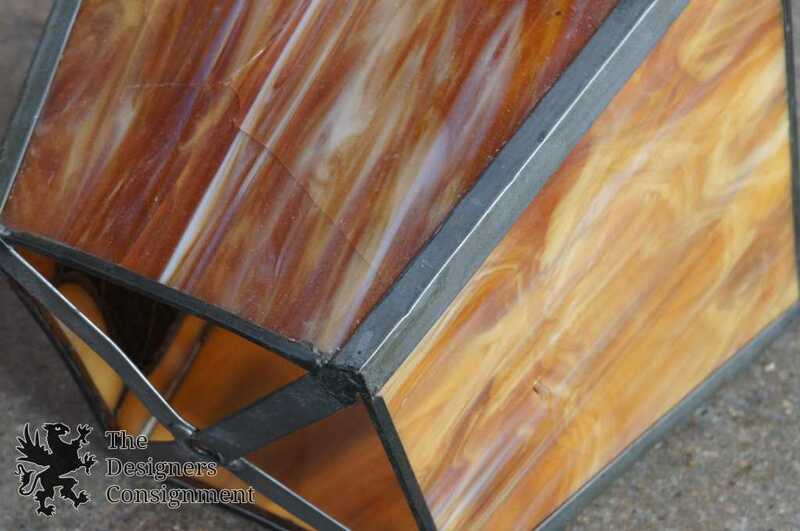 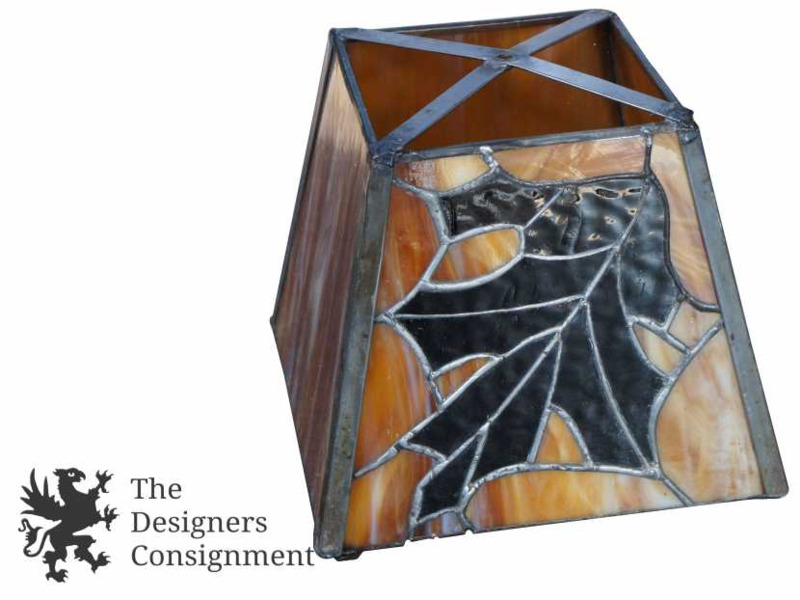 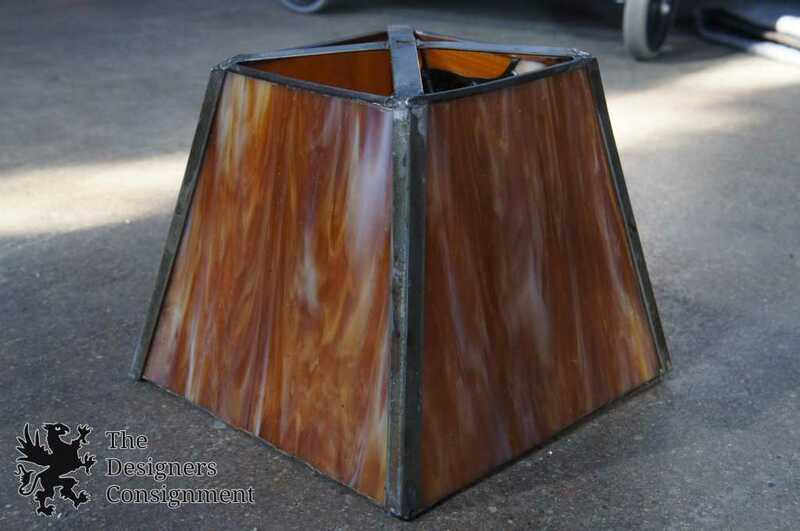 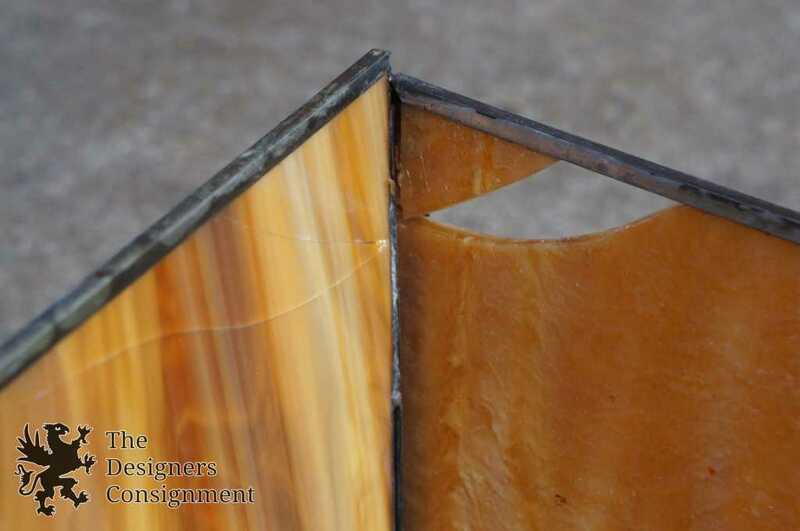 Each is Leaded with amber slag glass and feature a leaf pattern along the front. 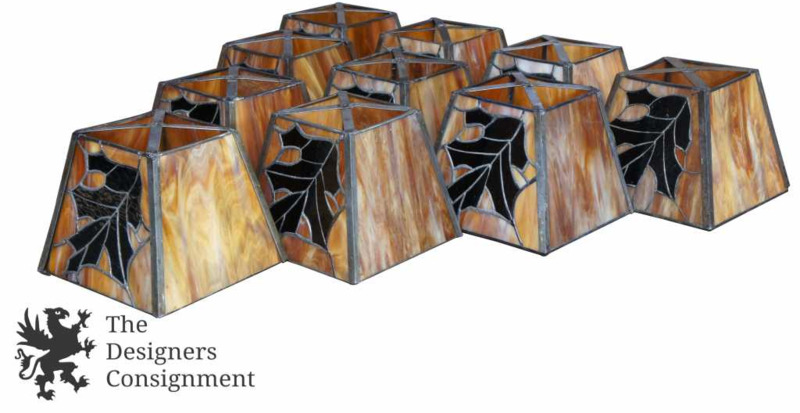 These were used as table lanterns over candles at the Oakwood Club in Dayton, Ohio. 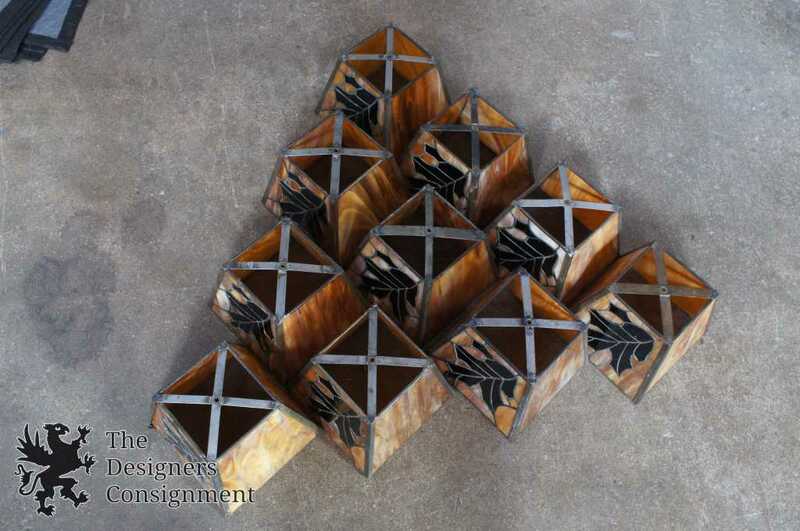 They are intended to be hung as pendant lights, but of course can be used in a variety of settings. 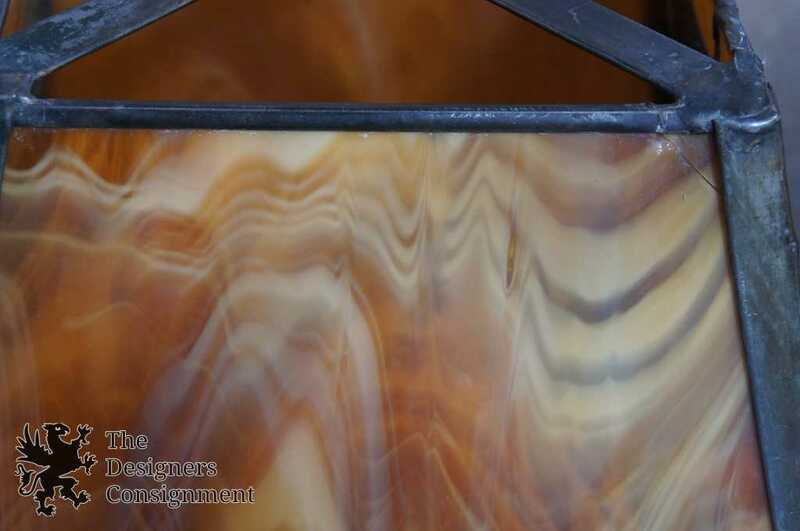 A rare and hard to find set of 10 that will add character to any atmosphere. 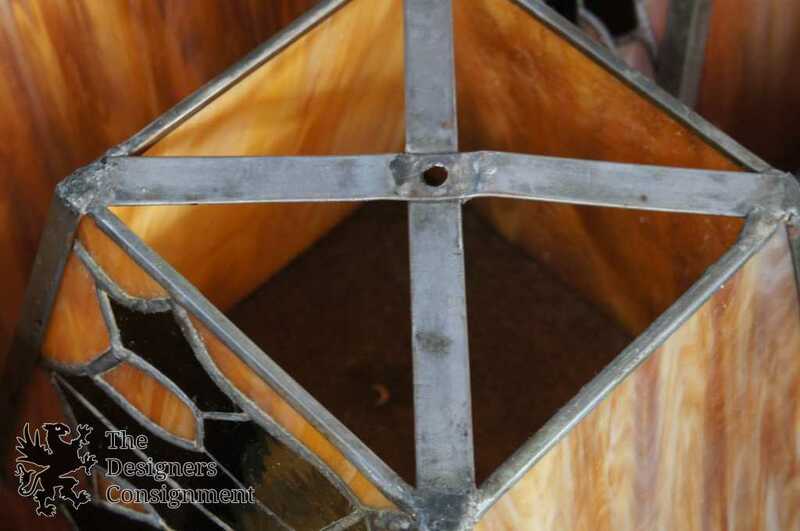 8.25" x 8.25" x 7.25"
2 frontgate antiqued parisian glass buffet lamp cast iron w/ linen shade 28.5"
baker furniture walnut burled dining table traditional queen anne style 126"